The Fort Wayne Freeze, the Fort Wayne Police Department’s hockey team, will play their first home game in two years this Saturday, November 22, 2014 against the Cincinnati Firefighter Hockey Club. The game will take place at the Allen County War Memorial Coliseum at 3 P.M. in the arena. The purpose of this game is to raise money for Fort Wayne Freeze player Christopher Holt’s son Chase, who was diagnosed with Neurofibromatosis Type 2 (NF2) in 2013. Neurofibromatosis Type 2 is a rare genetic mutation that affects 1 in 30,000 and causes tumors to grow on the fibers of the nerves. These tumors can grow throughout the body or centralized in certain areas, like the brain, eyes, ears or spinal cord. Tumors in these areas can cause blindness, deafness, paralysis or death. 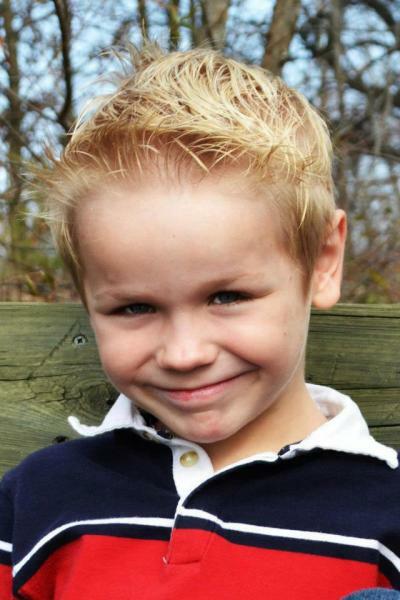 In Chase Holt’s case, NF2 has caused him to have multiple tumors throughout his body including his brain, neck, chest and arm. Chase’s family is facing a multitude of medical bills currently not being covered by his insurance, creating a difficulty in being able to keep up with the costs of his treatment, medication and trips to Cincinnati Children’s Hospital. The Fort Wayne Freeze is raising money for the Holt’s through their charity game by collecting donations, selling tickets to that evening’s Fort Wayne Komets game and holding a 50/50 raffle during both hockey matches. All of the proceeds will be donated to Chase and his family. Players for Cincinnati, Ohio’s Cincinnati Firefighter Hockey Club will be making the trip to Fort Wayne to participate in the Freeze’s game. This continues a long history of the two teams working together to raise money for great causes within each community. The game is free and open to the public, with donations being collected throughout the game. Doors will be open at 2:30 P.M., and the puck drops at 3 P.M. Long time Fort Wayne Komet announcer Larry Schmitt will be calling the game. Chase and his family will be in attendance. For more information, “like” the Fort Wayne Freeze on Facebook .